Canada’s Eric Lamaze has been named to his seventh consecutive world championship team. Held every four years, the world championships for show jumping are part of the Fédération Equestre Internationale (FEI) World Equestrian Games taking place from September 11 to 23 in Tryon, North Carolina. Lamaze’s student, Kara Chad of Calgary, AB, was also named to the four-member squad alongside Erynn Ballard, Mario Deslauriers, and alternate Lisa Carlsen. Chacco Kid will be Lamaze’s mount for the FEI World Equestrian Games. The 12-year-old chestnut Oldenburg gelding (Chacco Blue x Come On) is owned by the Chacco Kid Group comprised of Sara and Rick Mershad, Carol and Ludi Sollak, and Carlene and Andy Ziegler. “Chacco Kid is my choice for the world championship team,” said Lamaze, 50, of the horse he began riding during the 2016 winter season. “We are taking a young horse and giving him a chance. He’s a horse that I am very excited about and hope we will see great things from in the future. Chad will make her world championship debut riding Carona, an 11-year-old grey Dutch Warmblood mare (Untouchable x Silverstone) owned by Lamaze’s Torrey Pines Stable. 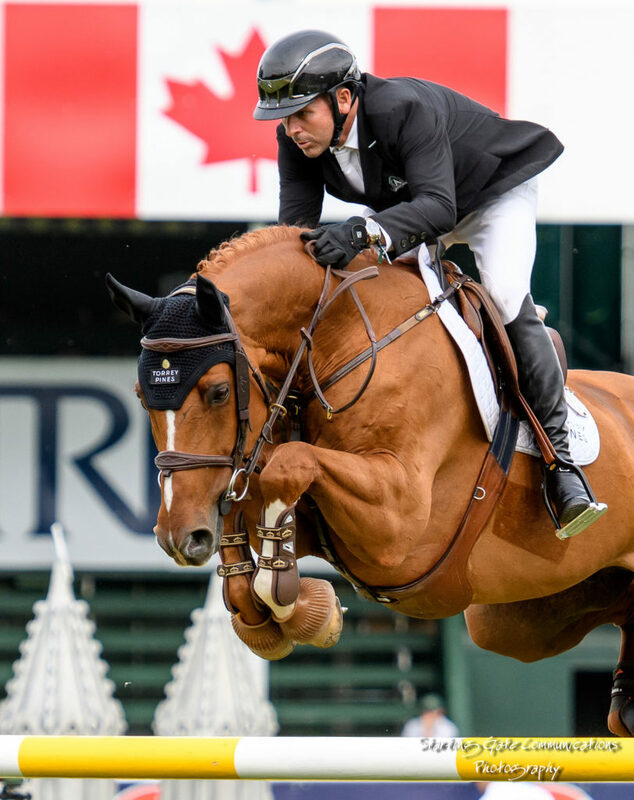 In their final competition prior to the FEI World Equestrian Games, Lamaze and Chad will ride as members of the Canadian team for the $460,000 BMO Nations’ Cup at the CSIO5* Spruce Meadows ‘Masters’ tournament on Saturday, September 8, in Calgary, AB. Carlsen of Okotoks, AB, and Ian Millar of Perth, ON, will join Lamaze and Chad as Canada takes on eight other countries in the prestigious team event. Currently ranked number three in the world, Lamaze competed in the past six consecutive World Equestrian Games in 1994, 1998, 2002, 2006, 2010, and 2014. At the 2010 edition in Lexington, Kentucky, Lamaze earned the individual bronze medal while his mount, Hickstead, was named ‘Best Horse’ after jumping clear rounds with all four of its riders in the ‘Final Four’. While preparing Chacco Kid for his first major games appearance, Lamaze also added several exciting new prospects to his competition string. Quality FZ, a nine-year-old bay Italian Sport Horse gelding (Quintender x Eurocommerce Berlin), and Firkov du Rouet, an eight-year-old chestnut Dutch Warmblood stallion (Baloubet du Rouet x Voltaire), are both owned by Gut Einhaus. In addition, Torrey Pines Stable has acquired other future prospects in partnership with Gut Einhaus. Lamaze will also develop Judika KM, an eight-year-old bay Swiss Warmblood mare by Joly St. Hubert recently purchased by his student, Canadian competitor Wesley Newlands.